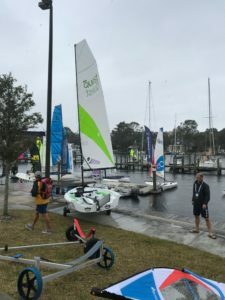 Zim Sailing, a sponsor and team member with Sail1Design, is a sail boat manufacturer that is breaking the molds compared to other sailing manufacturers in the dinghy industry. 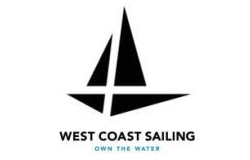 Based out of Warren, Rhode Island, Zim Sailing was founded by former Vanguard employee Steve Perry after Vanguard was bought out by Laser Performance. Steve Perry saw an opportunity to start a new small boat manufacturing company that would differentiate itself from other competitors. 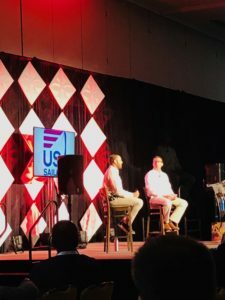 After leaving Vanguard, Steve called on many of his long time industry partners and relationships to help him get the company started. Where in the world did “ZIM” come from? 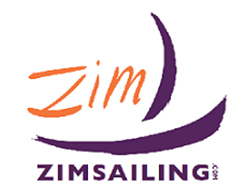 The name Zim Sailing is an acronym based on the name of the company’s sister factory in China: Zou Inter Marine. 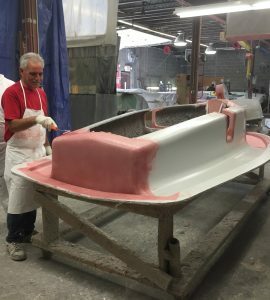 In 2009 Steve purchased molds from C420 and CFJ classes and began testing and building his own brand of boats. After he was granted approval from the classes, Steve started delivering the Zim Sailing C420s with his personal car and in the same year moved his office from his kitchen table at home into a small 1600 sq. ft. contractor space. 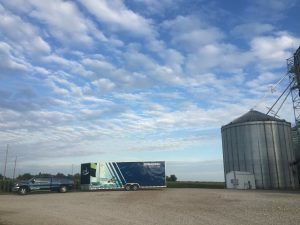 Steve has been working to bring more and more of the company’s production capacity to the United States each year. 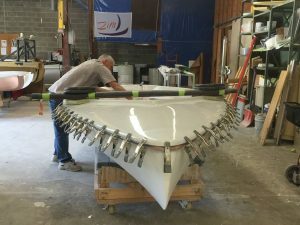 Since 2009 Zim Sailing’s reach has grown tremendously but still has only thirteen employees total in the United States, including the 4 USA based boat builders. Zim Sailing prides itself on these thirteen employees’ abilities as top experts in their respective fields to have the knowledge and personal experience to deliver the best products and services in the industry to the customer. 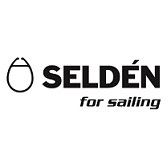 The company has been constantly expanding and moving into new sailing markets. 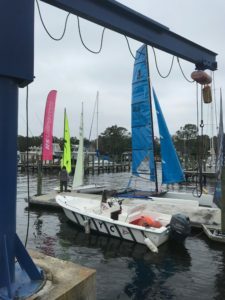 Zim Sailing carries boats for all levels of sailing, from the grassroots level, recreational sailing, green fleet optimists, all the way up to collegiate sailing. Zim Sailing is sure to keep all these markets in mind with every move they make as a business. 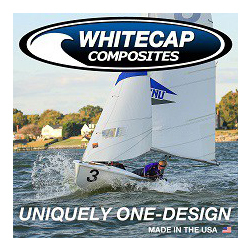 Only 3 warranty claims have ever been made on Zim Sailing boats since the founding of the company. A truly amazing accomplishment. 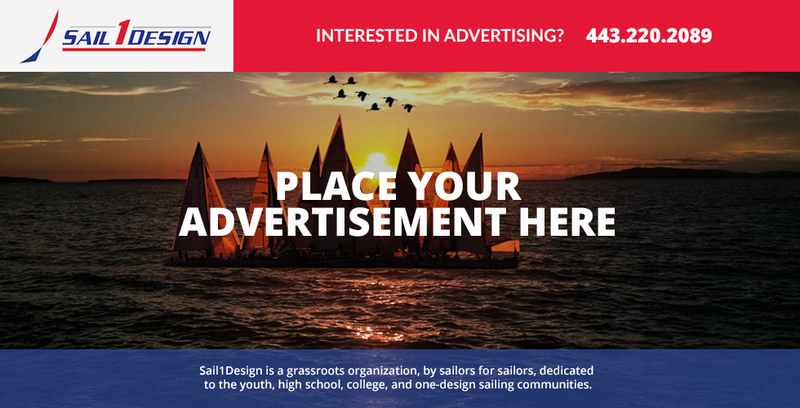 If you go to a Club 420 or Optimist regatta in the states there is a high chance you will see a Zim Sailing charter boat trailer there. 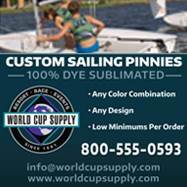 Zim Sailing is a national sponsor for US Sailing and the USODA, along with the Junior Sailing Olympic Festivals. 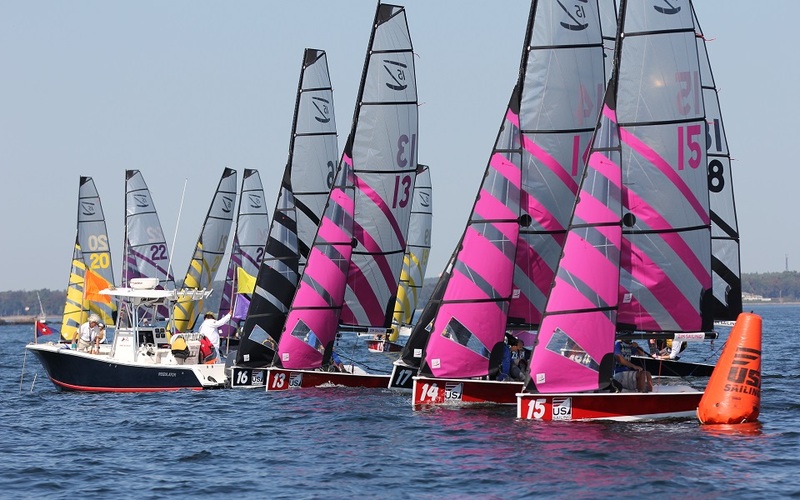 Chartering boats at these high level events has helped market the Zim Sailing brand of boats. In the years to come the sky’s the limit for Zim Sailing. One of their short term goals is to is to get a lot better at what we are already doing. 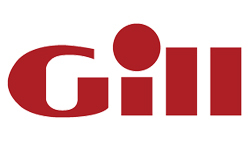 “To improve upon what we have got as far as the service in concerned, we are constantly evaluating the products to ensure we are offering exactly what people want and what people need,” says Beigel. 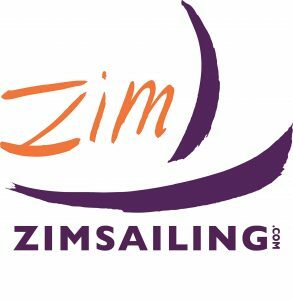 Another is to make sure Zim Sailing has everything in stock people need and continually work to project things customers might want or need in the future. 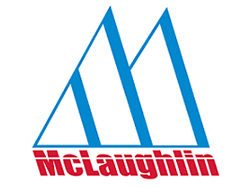 Another goal is to manage the growth and to manage it well to continue to deliver the best products and service to the customer as they expand their business. 2016 kicks off with Zim Sailing moving our world headquarters to a 24,000 sq. ft. facility. With more than double the space, we will be expanding warehousing, production, and retail, now all under one roof. Over the past two and a half years the collegiate and post collegiate market has changed quite a bit. While other companies worked to freshen up the 420 the Zim team was not content to put a new deck on a boat designed in 1959. These introductions are not new, but based on old designs and old technology. The market deserves better! 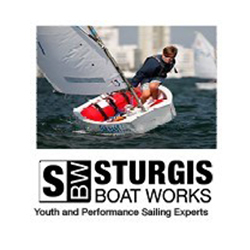 We enlisted the expertise of long time performance sailor and former owner of Vanguard Sailboats, Steve Clark to design a new “forward thinking dinghy” using technology of today. Over the past several years, ex college sailors have been settling for slow keelboats, or expensive one design classes after graduation. 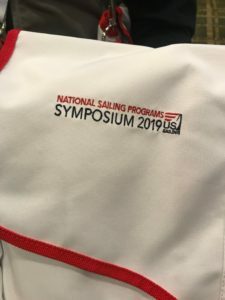 The North American small sailboat marketplace is eager for a performance based dinghy that is a blast to sail. The Zim 15 is all new cutting edge technology for production sailboats and will move dinghy sailing forward. We designed Zim 15 as a performance dinghy for the 20-30 year olds looking for more excitement. The high drop off rate after college is not new and we feel a more exciting product will help keep more young sailors on the water. The Zim 15 will appeal to the growing team race market as well as a great boat to fleet race. The Zim 15 is the perfect boat for yacht clubs to purchase fleets and provide organized team and fleet racing. This model will provide outstanding value to young members. 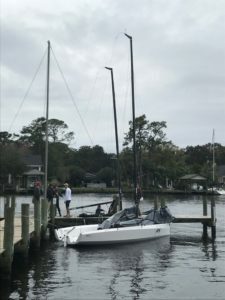 The tunable rig and large sail plan will raise and widen the competitive weight range of the sailors relative to other products making the boat a far more favorable option with a broader appeal. The typical rolled lip hull to deck joint, which is highly prone to stress cracks, has been eliminated. The rig, designed by Southern Spars pushes development to a new level. 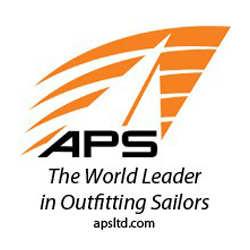 The spars and sails, designed by North Sails, have been tuned with complex modeling software to provide spar to sail synergy. 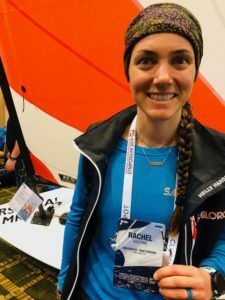 The mast is designed with specific flex characteristics that enable a large upwind sail plan without the boat being heavily overpowered in higher wind speeds. The large sail plan increases the boats potential performance off the wind eliminating the need for a spinnaker or genniker. The gnav strut and cunningham are the primary sail controls and are led to the thwart between the sailors for easy adjustment. Mast & sail combination is very tunable relative to the current boats in the marketplace. The ability to adjust the rig tension while sailing will allow the boat to be powered up or depowered easily. 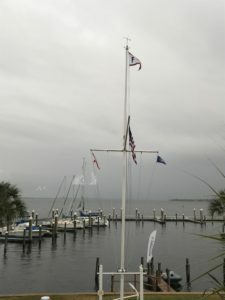 The incorporation of the dangly pole in not only to be used as a whisker pole downwind but greatly improves the jib effectiveness upwind and reaching while keeping the crew more engaged. 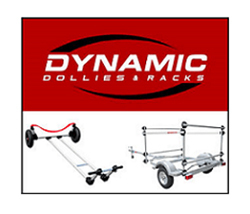 The integrated bow and corner bumpers will provide additional durability. Pivoting rudder blade without using a rudder head. We have included the ability to raise the centerboard pivot position. This reduces draft and moves the center of effort closer to the waterline. Lighter teams will be able to “reef” the centerboard as part of de powering in fresh conditions and allow for a wider crew weigh range. The Zim 15 is built using a fully cored resin infusion process. This allows a very repeatable build in terms of quality and boat weight while reducing the styrene emission and exposure for the workers. The hull to deck joint is bonded with Plexus to ensure maximum strength and durability. 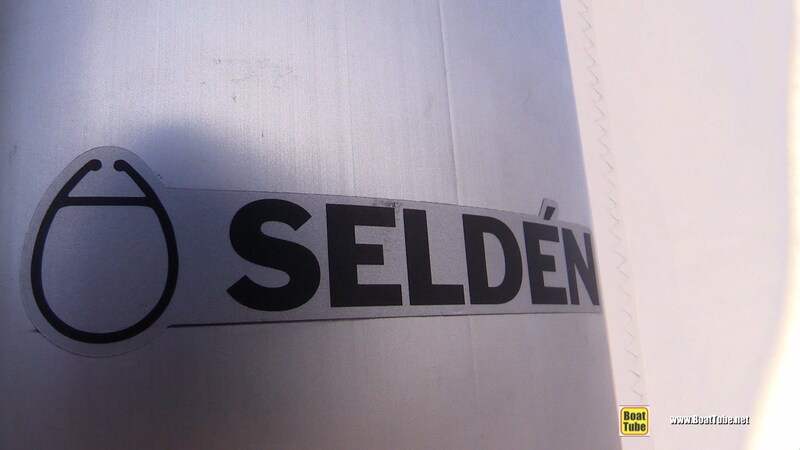 The foam core enables a far stiffer panel to weight ratio relative to non-cored laminates. 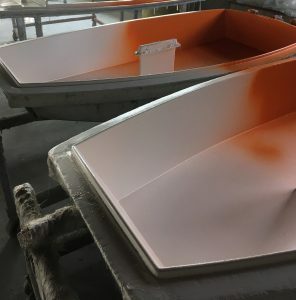 In short, the construction process is environmentally friendly and will provide a very stiff and light boat that will stand up to the demands of today’s performance dinghy sailor.